Here’s the second in my series of posts from Mobile World Congress (MWC) this week, covering the fitness and sport segment. I’ve been breaking them into about 3-5 company highlights each, with a few more posts to come still. To see all the posts from MWC this week, you can simply tap here. Back at CES, 4iiii’s announced three new ‘pods’, which are the smaller coin sized units seen scattered on the desk above. The pods come in three flavors, with three relatively distinct functions: Notifying Pod (vibration), Optical HR pod, and GPS pod (for sending more accurate GPS data to BT capable devices). The pricing for those pods was a bit muddy back then, but has been further defined as $70 for the notification pod, $100 for the optical HR pod, and $150 for the GPS pod. All pods have ANT+/Bluetooth Smart, meaning they can connect concurrently to both an ANT+ device (like your Garmin cycling computer), as well as a mobile phone. However, the functions will differ across the different protocols. 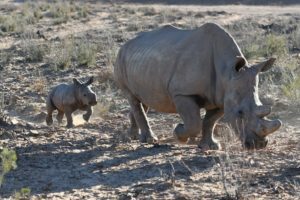 The order of release for the pods, starting in April will be Notification pod first, then either HR or GPS approximately two weeks later, with the final pod coming two weeks after that. With that baseline out of the way, I spent some time talking to them about their new open API, which aims to standardize access to not just their products, but Bluetooth and ANT+ sensor products across the market. Today, the vast majority of the apps (hundreds) utilize the Wahoo Fitness API for access to Bluetooth Smart and ANT+ products on mobile phones. While that has largely worked well, there are cases where various companies that have been in competitive situations to Wahoo have felt the business ramifications of that topology. The goal of the open API was to develop something that any company could contribute to – but also to streamline the accessing of sensor data so that individual apps don’t have to re-write that each time (or, have to leverage a specific company’s platform). The API can be requested privately currently (or accessed here), but starting in March the source code will go live on GitHub. It’s initially available on Android, and then being ported to iOS later in the spring. In order to ensure the API is providing an unfettered level of access to the pods, 4iiii’s is working to develop their Android app, leveraging the Android API. Thus, enabling access for Android users to not only the pods, but also Viiiiva (existing HR strap). In talking with a number of the top (most widely used) fitness/sport apps in the market, all of them are evaluating the API, and some already contributing to it. One interesting tidbit on the Android API is that unlike on iOS, the API runs as a service in the background, which means that multiple applications can access the same sensor through the service. Finally, 4iiii’s has updated their battery guidance on the optical HR sensor pod (dual ANT+/Bluetooth Smart). The pod is now rated for 30 hours of continuous battery life while transmitting at a rate of 1-second. There is potential to go into a lower update mode and extend that further, but that hasn’t quite been finalized. That’s a substantial amount of battery life for optical, and definitely noteworthy. However, I’d caution that ensuring the data quality of optical HR is an area that hasn’t had visibility outside of 4iiii’s walls. Said differently: I haven’t tested a unit to see if it’s accurate. Time will tell there – but I’m definitely looking forward to it. I stopped by the ANT+ booth to catch-up on a few items that some of you had requested status on. The primary interest point for most is where the ANT+ Resistance Trainer Control device profile stands. That’s the software standard that’ll allow any trainer to talk to any ANT+ enable device and be controlled by said device. For example, apps could all leverage the same standards to talk to trainers and get data on power and speed, minimizing the amount development time it takes to program for different devices. To start, from a technical standpoint, it’s been renamed now – to the Fitness Equipment – Control (FE-C), which now falls under the existing ANT+ Fitness Equipment Profile. That’s the profile that has previously covered gym equipment (and ironically, the profile that Garmin has stopped supporting in new devices). The current status is that the profile is going through final revisions within the Technical Working Group (TWG). The TWG is comprised of the different trainer companies (such as Wahoo Fitness and CycleOps), with guidance from ANT+. They’ve noted that the current beta release is scheduled for mid-March. Now beta on device profiles is a bit different than beta on other platforms. In the device profile world, beta is generally accepted as almost production. Devices are supported to be built on it, and the final version has to be backwards compatible with it. Oftentimes devices go out the door to consumers against a beta device profile. While it’s good news that we’re potentially just weeks away from this happening, I do worry that we’ll continue to see more schedule slip. It’s been in a bit of a ‘just a few weeks away’ state now for many months. Obviously, it’s far too late to see the benefits of it for the North American trainer season, and realistically, most companies won’t bother implementing it until this summer for next season. Ultimately, from a protocol standpoint, if ANT+ plans to remain in the market and be the leader in some of these fitness devices – they’ve really got to find a way to push through these profiles faster and not have them sit in TWG’s forever. 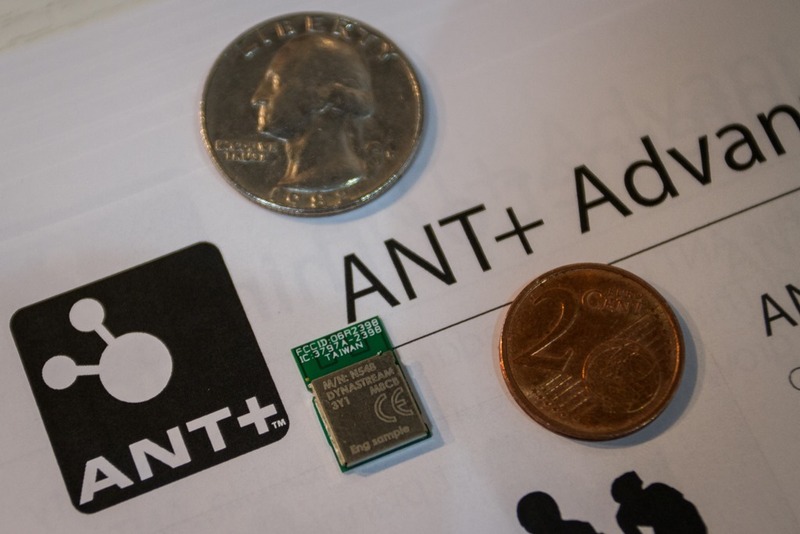 Finally, one last item of note for the real techies in the crowd is the further adoption of the new dual ANT+/Bluetooth Smart chips that you see many companies looking to leverage in upcoming products. For example, with the Nordic 422 chipset, companies actually purchase one of three software module updates for the chip to enable the functionality they need. The software updates are kinda like college courses, in that their series are prescribed functionality levels. Such as in 100-level series, 200-level series, and 300-level series, with the lower two levels for either ANT+ or Bluetooth Smart, and the 300-level for dual capability. This is why you see so many products coming out now with the dual capability. It’s simply a software move for them, rather than having to integrate a new/different/secondary chipset into the device. There’s no doubt this trend will continue to grow, as just today (Wednesday), another chipset maker – MediaTek, has announced their new chip which includes dual ANT+/Bluetooth Smart as well, the MT6630. 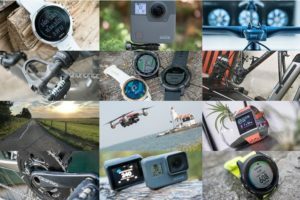 Ultimately, giving consumers choice to use whatever protocol and accessories they want is good for the marketplace – so I’m happy to see that trend continue. 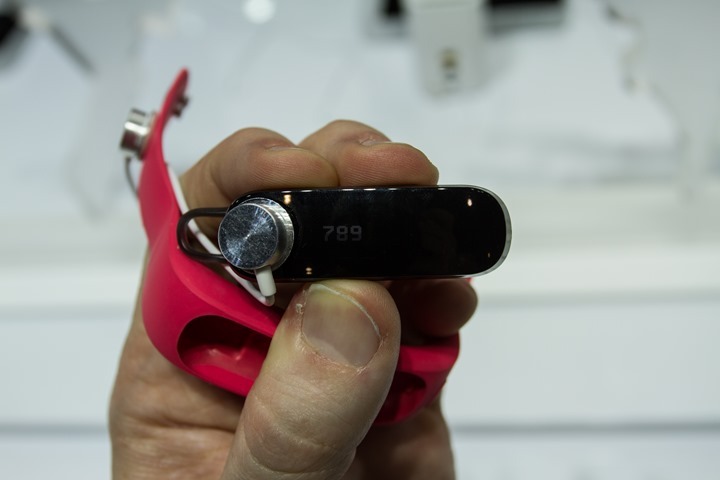 Next up is Huawei’s new activity tracker and Bluetooth headset band, the TalkBand B1. This activity tracker is primarily targeted at Asia and Europe, with no specific plans to introduce sales of it in the US. The TalkBand while in activity tracking mode hangs out on your wrist, like most other activity trackers. It pops into a small rubber wrist strap, which comes in a variety of colors. Because of the Bluetooth talk capabilities, the unit pops out, and can be worn as an ear piece that connects to your phone and allows you to talk/hear just like any other Bluetooth headset. Interestingly, the company calls out that they’re using the full Bluetooth 4.1 chipset. It’s no surprise that they’d use a full BT 4.0 chipset, but noting inclusion of 4.1 is kinda noteworthy for the geeks in the crowd. Looking at the front of the unit, it features a poor 1.4” OLED display that enables you to barely read your current steps and sleep. The 90mAh battery gets 6 days in “working mode”, and 14 days in standby mode, and it takes 2 hours to charge. They did not specify how many hours you’d get in talk mode. In talking with the lead of the program, the unit ‘might’ include an Android and iOS app. While it does include iOS and Android compatibility for the base Bluetooth functions, whether or not step and sleep data is transmitted to an app remains unclear. As does whether or not there’s a service behind it. Ultimately, the core differentiator between a $5 pedometer you get in a cereal box and a $100 device such as these is the software and backend platforms that pulls all the data together to enable you to make health and wellness decisions. Without that, it’s really just cereal box time. 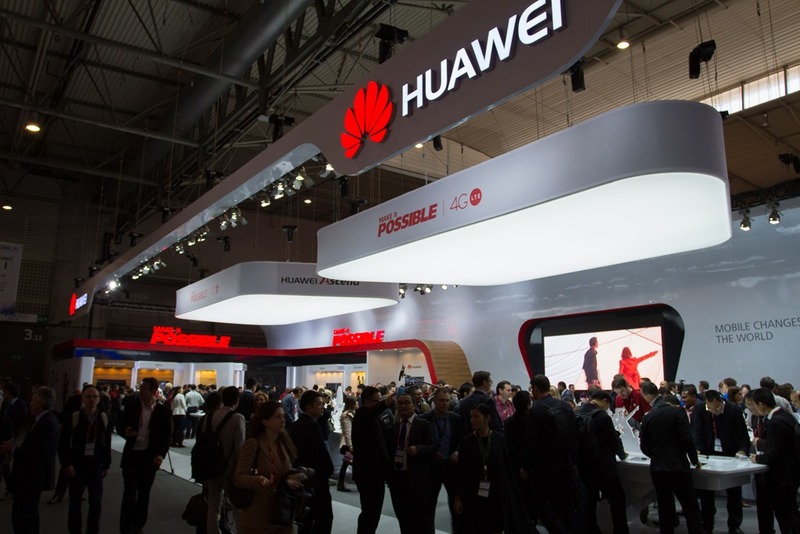 Most within the space understand that Huawei is not selling products to the mainstream Western markets. Nor, are they selling high end products. They are simply selling products that are made cheaply, and likely to have minimal features. 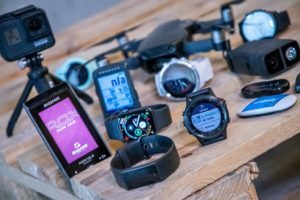 No matter though, it’s great to see a company that can likely drive adoption of activity trackers into the Chinese market, at a price point that Chinese consumers will go for and from a company they are familiar with. 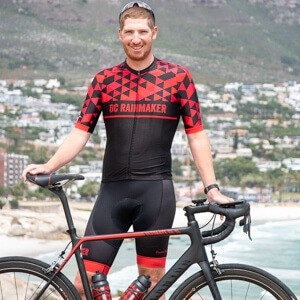 That adoption in an otherwise untapped market is an interesting play for fitness companies that already operate in the space, in particular on the software and app integration side. For example, while I was standing there playing with a unit, the folks from MyFitnessPal (the largest health/fitness app in the world) happened to come up and start chatting with the the lead for the TalkBand about trying to get API access for the unit to connect to their platform. While it was clear from the conversation (on many levels) that Huawei is generally confused about this market, make no mistake that they’ll likely figure it out pretty quickly. And on the side of the large mostly North American/European companies that play in the space today, they’ll be looking at ways China can provide them even further growth. It’s definitely going to be a few interesting years ahead. 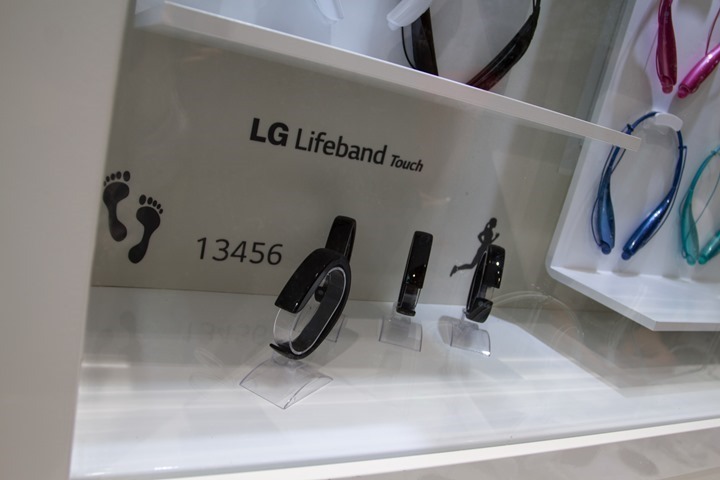 Next up we’ve got the LG Lifeband touch. Back at CES this made a fairly big splash in the booth and to some degree in the press. The wrist-based activity monitor included touch support to track steps, sleep and even a barometric altimeter for stairs. It was paired with a new set of wireless ear buds to provide heart rate data via Bluetooth Smart. Thus, coming into the show I was interested to see where things stood in the almost two months since CES. What I found though, was that nobody was there to talk about the product, nor knew anything about it. It was simply hanging out behind a glass case. And the heart rate earbuds weren’t visible at all. Despite working with the PR liaisons, they couldn’t find anyone with more knowledge than knowing the name of the product. In the expo world, this is a sure sign that things are not going according to plan. This is especially true of a show where arguably the biggest news of the week was rival Samsung’s introduction of an activity tracker and phone with HR support, as well as additional rival Sony further outlining plans for theirs. By not showing it, nor having members there to talk about it, they can effectively avoid questions on what is potentially not going well. 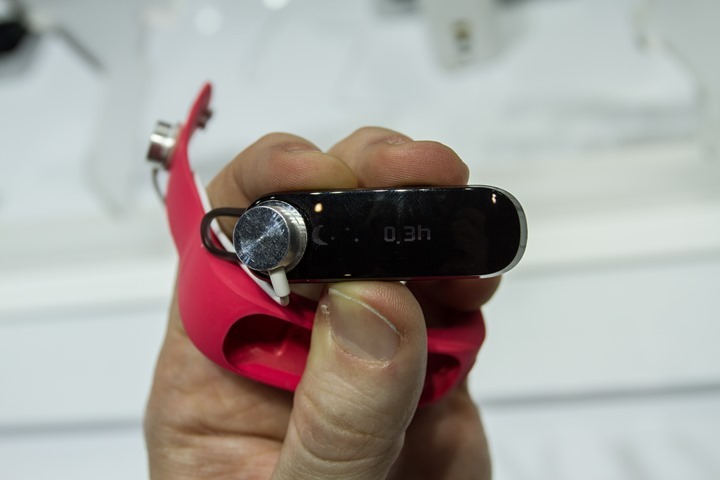 Previously LG hadn’t specified any release dates for the products, and I noted that getting accurate heart rate via your ears is not easy, and many companies (big and small) have tried doing it with only one small company succeeding thus far. Thus for now, I’m counting LG out of the near-term game until proven otherwise. I definitely wouldn’t expect to see anything anytime soon there. Finally, will finish up with one quick fun item – this massive SanDisk camera system designed to take those Matrix-style photos. The system is actually comprised of 130 Moto X cell phones, all carefully aligned and controllable via a centralized system. A system that was unfortunately not working over the course of the day that I dropped in. Too bad, as I would have loved to show off a crazy 130-camera photo of…well…me. 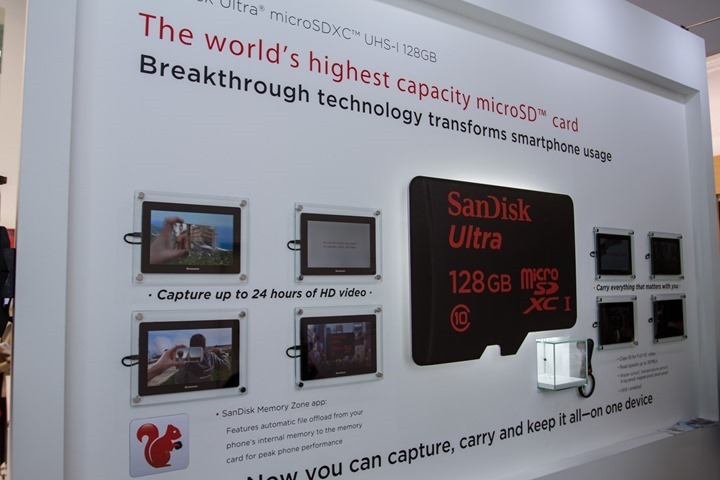 From a product standpoint, their main announcement was the introduction of a 128GB microSD card. 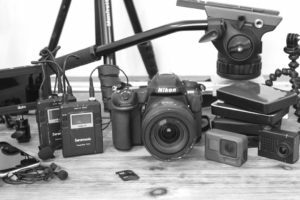 While the unit can capture upwards of 24 hours of lower-quality HD video, I expect the real draw here is more for higher end HD applications, like 2.7K and 4K video that have much higher size requirements, such as that found on the GoPro units. 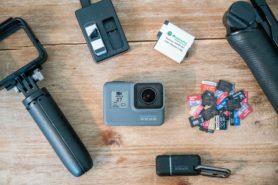 At present, those units can’t quite do 4K video at full frame rates, but I suspect that if GoPro announces new cameras in the fall as usual, then the prices for these cards will be a bit more normalized by then – making for a good match. With that – thanks for reading, more to come! 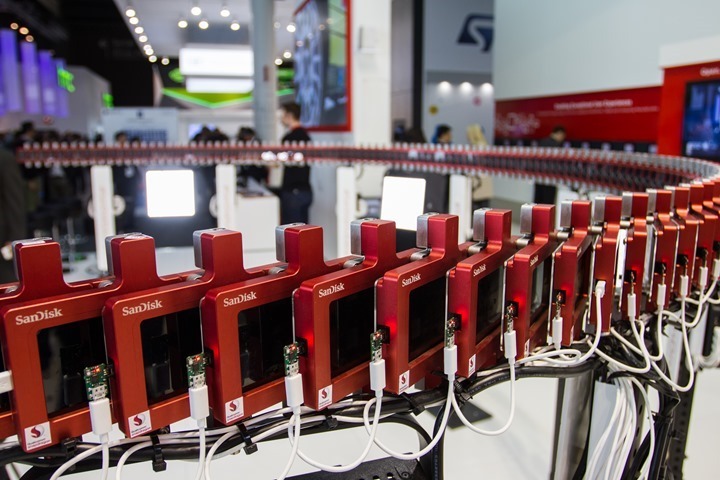 And remember, you can read all the MWC2014 posts here. The 4iiii could you wear that with the V800 for the GPS signal and HR signal? and under water? Other than battery life, are there any key differences between the Mio Link and the 4iiii optical HR? Not really. The key differentiator will be 4iiii’s proving theirs works (I’m not saying it doesn’t, I just have no data either way). If it does, then they’re both very solid options with no obvious downside/differences that I can think of. What about the ability to bridge ANT+ streams? In your post from CES, you wrote that the pods would include this functionality. Ahh, sorry, yes, there is that piece. I thought you were talking the optical piece specifically. Was lining myself up for the mio link in march but now very interested in seeing how the 4iiii stacks up against it before parting with my cash. For me the Mio looks like a more sturdy product and more likely to stay on my wrist. 1s recording of heart rate is interesting – it will be good to see what the accuracy is like. With Mio quoting 10 hours of battery (about the same an my Garmin 220), I dont have any concerns about battery life. Yes, its one more thing to remember to charge – but I manage to remember to charge my phone/garmin/other phone/ipod etc etc. I’ll also have a leave a HR strap in my locker ‘just in case’. Ditto for the above on the 4iiii. As Ray noted, nervous for a newer product (i.e. 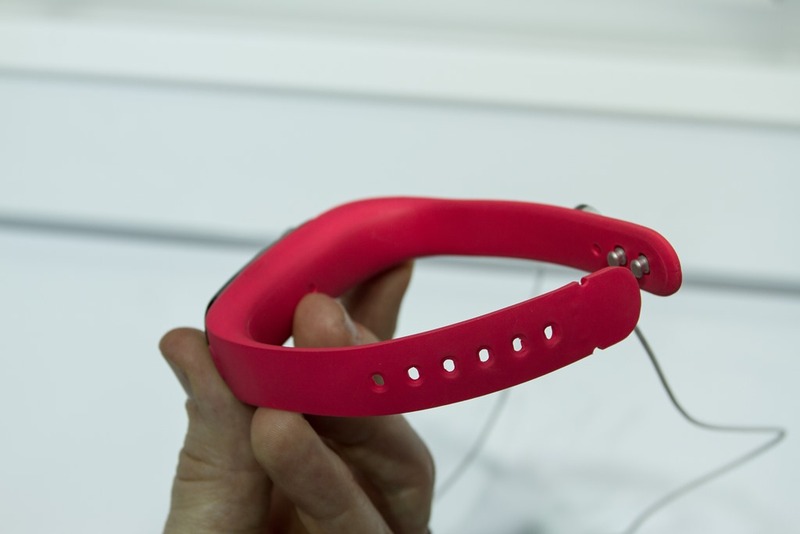 Mio has existing optical HR). Hopefully someone ( Ray ) will get one of each before we are forced to choose! For example, the Mio Link being launched weeks or a month earlier will be tempting. Still, the 4iiii appears to claim memory for storage is included, perhaps this could be used to record HR while swimming for analysis later all on it’s own? Either way, if they could even hit 20 hrs of battery with a working product I’d be happy. Mio’s new 10 hour mark is still a little on the questionable side. Any good size comparisons out there on the Mio and 4iiii products? Is it just me, or does the 4iiii look a little ugly like a blob of polished epoxy? I’m with you on the looks – I dont like the look of the strap of the 4iiii – the Mio looks far more sturdy for something that needs to stay reasonably static. 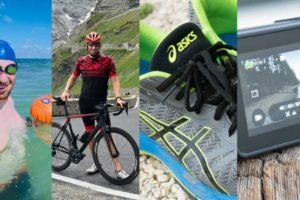 I’m running a marathon on the 6th April and am keen to have the Mio by then – hoping that it will be stocked/shipped to the UK in that timeframe. Ray’s initial look, and actually more so his continued use of it, is good enough for me! Just a note – The straps in the photos are prototypes only and the production versions are quite different. Thanks Ray for everything you do… one of a kind site you have. Like a few more desperate for an optical wrist HRM, think I’ll be edging towards the MIo, looks more suited to the job, will be released first and has the technology already in place. Hopefully it’s out real soon as I have a trip to Las Vegas on 20th March so could take advantage of the dollar and no international shipping. Thanks for the report, did you get any info from 4iiii concerning the existing Viiiiva belt, i.e. leveraging the internal memory and accelerometer? We didn’t discuss it unfortunately. We are actively working on leveraging the memory inside Viiiiva. We will be announcing the release data on our facebook page and for sure will let Ray know when that becomes available, too. As for the accelerometer, it’s still on our roadmap but further out. Thanks for the questions. Good news! I see the memory on the new pods will be good for about 70 hours of data, same thing for the Viiiiva? I assume the recording will have to be started from a smartphone or kept “active” to record whenever the belt picks up a pulse? hollyoak – there’s actually less memory in Viiiiva. But we’ve developed a method to continuously decimate the data as the memory gets more and more full. Our success criteria for Viiiiva was to be able to record an inronman, including heartrate plus all the sensors – running pace/cadence, bike speed/cadence/power. Quantifying a number of hours is difficult because Viiiiva will continue to record forever, by following a sequence of data decimation. So to explain this — if I assume recording of heart rate only, you’ll get about 3 hours of once per second data recorded. If you haven’t uploaded by then, then the recorded data gets decimated to every 2 seconds and then Viiiiva goes on to record heart rate every 2 seconds for the next few hours. Again, a few hours later, it decimates the data again to every 4 seconds a goes on to record at a rate of once/4 seconds. The one data point that won’t be decimated at the same rate is power meter data which we believe needs to remain fully intact. As for starting an stopping the recording, Viiiiva will record whenever heart rate or ANT+ sensor data is present (which it has paired to). Thanks for the detailed explanation, that’s a smart way of doing it, can’t wait for the new firmware! Sometime in March hopefully? One last question, would that data be available to export from the app in .fit format like standard workouts recorded directly by the app? Alana, thanks heaps for the copious answers here. I’m really looking forward to the store in memory on the Viiiiva. It’s nice to know it’s in active development. I love the optical HR. I love my Suunto watch because of the Altimeter, Barometer and Compass. Id love if Suunto just added in optical HR. The camera is cool, we have a similar setup at my previous work named Brandaris128, consisting of 128 cameras with a max frame rate of 25 million frames per second (yes no typo). I really like the development of ANT coming to mobile phones. 1) If I understand the Sidekick, you can use it to capture GPS data, offloading the battery wear from your phone, or you can just use the pod alone and it will capture GPS data that can then be analyzed later (understanding you will have no display of stats mid-activity)? In the second record and store option, how long can it record on the internal storage and battery? 2) Any chance Viiiva might combine the Sidekick and the Mini? 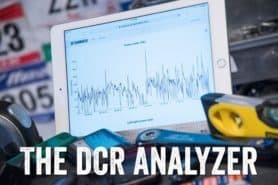 I like the idea of using the Sidekick to enable me to run ultra distances without worrying about battery life but it would be great to capture HR data at the same time. 1) In the first case, my understanding is it’s to offload to the pod, but that the app could leverage it. So for example, Strava could use that GPS pod instead of the phone’s GPS, which reduces battery hit and likely increases accuracy. 1) Is there, with Sidekick, a new Ant+ Gps profile? 2) Is it waterproof, does it have memory? Tommy – Answers to your questions: 1) The battery for Sidekiiiick will last 10 hours continuous and the memory will store just under 70 hours continuous. 2) Sidekiiiick and Viiiiva Mini are in separate pods. This decision was based on keeping the form factor ultra small and lightweight (<3g), and extending battery life. Also placement of the pods may vary: i.e. 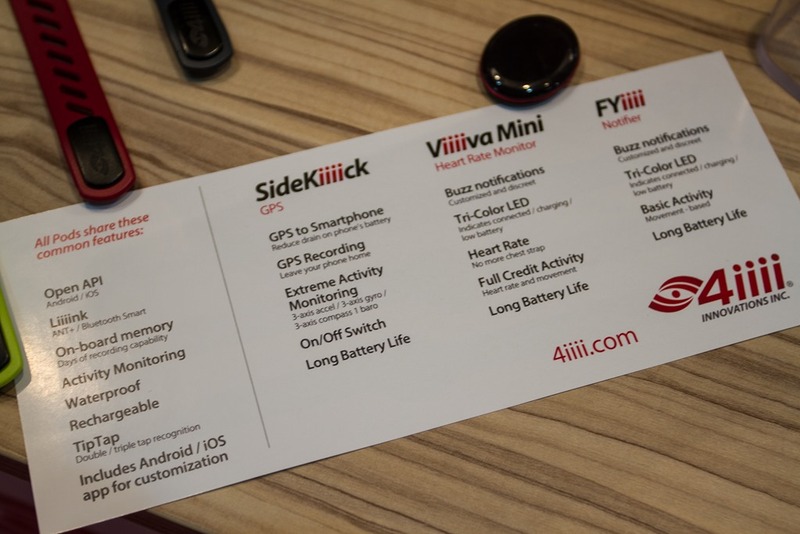 you could put Sidekiiiick on your shoe/helmet/wrist (somewhere in full view of satellites) whereas Viiiiva mini will be offered with both a wrist strap and a clip you can tuck inside of clothing (as long as it stays against the skin). 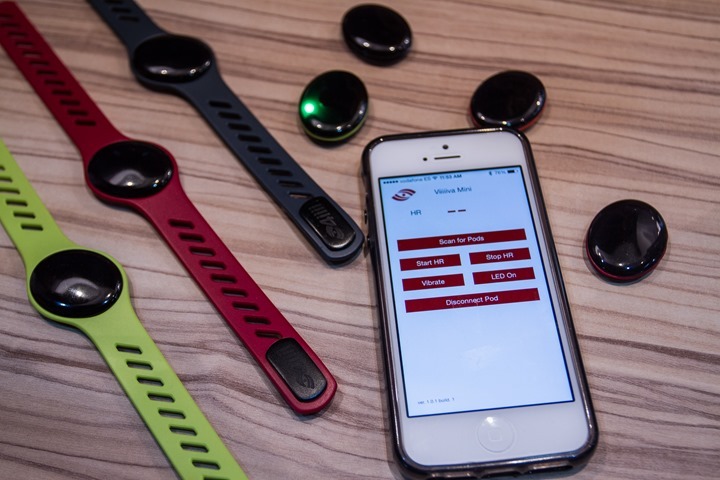 1) ANT+ has a Multisport Speed and Distance profile that includes GPS coordinates. That is what Sidekiiiick will broadcast over ANT+. 2) All the pods are designed to be waterproof but have not been through lab testing so I can’t speak to actual rating yet. While we’re certain that Viiiiva mini and FYiiii will be completely water tight, Sidekiiiick could have the lowest waterproof rating because the barometer requires airflow in order to measure elevation. Alana – Thanks for the follow-up. I understand the logic behind keeping the pods separate, that makes perfect sense. I’m disappointed with the battery life on the Sidekiiiick only being 10 hours as that is what I can get on my watch or phone currently, so I am not sure how the Sidekiiick is an improvement. It offloads the GPS from the phone to save phone battery but if it has no more battery life than the phone has, why bother? Am I missing something? Tommy – What phone are you using that lasts for 10 hours running an app using GPS? (And what app?) My phone last about 2 hours max plus if I put it away in my pocket, the GPS data is really spotty. Anyhow let me quantify the 10 hours – that is running at a continuous sampling rate of once per second. If an integrated app wants to change the sampling rate then battery life can be extended (it not linear, though – so sampling every 2 seconds is not going to translate to exactly 20 hours of battery). I other ‘raison d’etre’ for Sidekiiick is the storage. I always ride with my phone but love to leave the phone at home when I run. Now I can still record my route, distance, pace and not carry a brick. OMG a “Raising Arizona” reference, you’re definitely the company for me, can’t wait to try out the Viiva strap I ordered. It’s unlikely for Chinese products and western products to cross into each others markets since the “gamification” styles are completely different. I was getting gas this morning here outside of Boston (actually a little west of Hopkinton) and on the little pump TVs they showed something about the Huawei band. I’m sure they were just reading a press release, but they made no mention of the activity tracking. They did mention phone notifications ala the Samsung Gear and Sony watch. But it was just a 15 sec blurb on a gas pump! Do you know if the optical HR pod will be able to send HR data to Suunto 2 Ambit ? Yup, they will. Fully ANT+ compliant. I think that the move by 4iiii could be really important for the Android ecosystem!! Ray, thinking about Wahoo moving to support the multiple concurrent BLE mode, this mean that they are contributing to the API development? If they can unify their efforts, I think that they can push Android forward on this area, where today it’s still lagging. No, they are definitely not contributing to it. The real problem with Android and BTLE is that the underlying Android Framework API’s and driver stack still have major bugs. It’s all too easy for an app to do something wrong and kill Bluetooth for every other app in the system until you reboot the phone which should be impossible with any good operating system. Yup, you’re absolutely correct. In talking with every major company in the space (and a lot of smaller ones), they all note the same. The underlying BTLE stack is horribly buggy, or, more problematic – inconsistent. One major (orange) app noted that it’s really easy for devices like a Fitbit or the sort to deal with, because at worst in most cases they just retry their operation. But when it comes to continuously monitoring sensor-based apps (like ipBike, Garmin Mobile, Strava), any little 1-second blip is noticeable. I’ve got a support job in with Garmin as BT pairing to my fr220 resets every time bluetooth is turned off on the phone. When it’s paired it works great – auto syncing to GC with Tapiriik then taking the run over to sportstracks (when Tapiriik isn’t having issues!!). Using the USB OTG cable was probably much quicker and easy, but I’m a sucker for flash new tech!! Ah, that’ll be why my Nexus 4 (on KitKat 4.4.2) keeps losing Bluetooth and refuses to turn it back on until I reboot the phone. Quite annoying, even though I don’t use BT much (in-car hands-free only). If I was trying to use it with BTLE sensors… jeez. 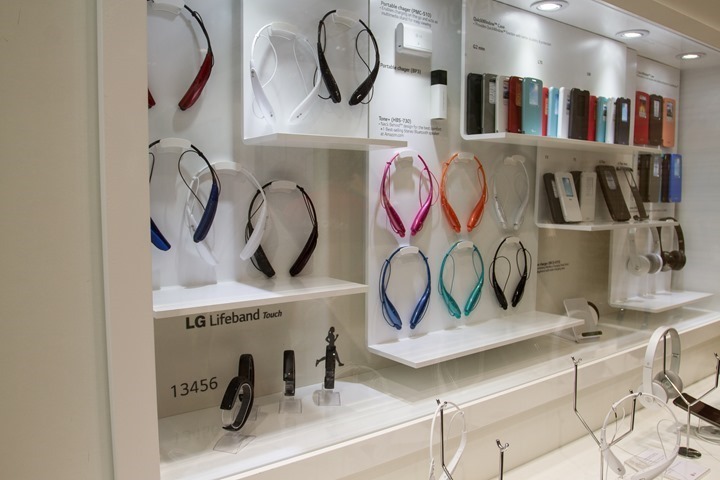 LG Lifeband is at BB Stores along with the heart rate headset. Nice, thanks for the heads up. Just ordered from BB to try out! Cool… looking forward to your review. I think LG has got an award winning design. Any news on release of the Viiiiva Pods? Nuttin. Though, I suspect they’ll be at the sweet of various events starting in about 10 days. Oh, by ‘they’, I mean 4iiii’s – not 100% sure on the pods. Thx a lot for the quick feedback, Ray! Definitely lots of optical bands out there, but also a lot of mixed results. 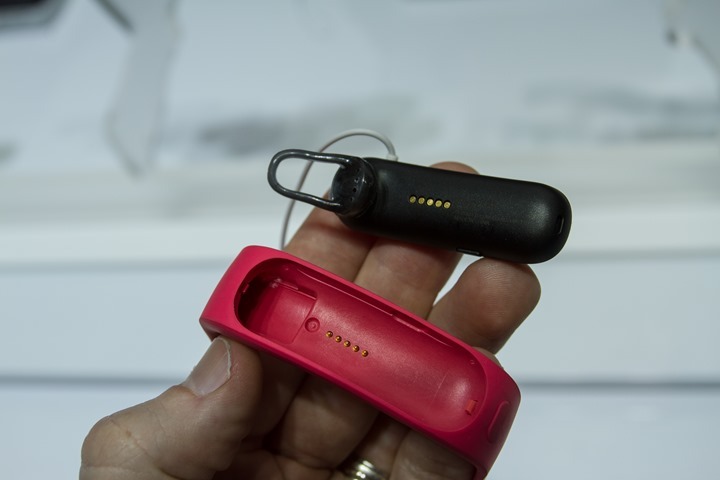 For example, check out my review of the Fitbit Surge, and upcoming Charge HR. Thank you Ray, Will dive into it now! do you have any news about it? will you be reviewing it soon?